If you own your own vehicle, you know that you need to take care of it. 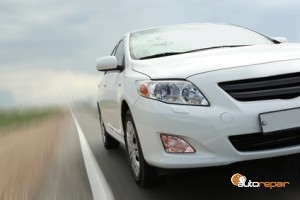 Cars and trucks are very expensive, and the added maintenance may seem like an optional expense. However, it is essential that you keep up with all facets of your vehicle’s maintenance if you want it to last for a long time. today we will go over some very basic and affordable maintenance activities you can easily keep track of. Visibility is extremely important for the safety of your vehicle, especially when you are driving it. Part of that visibility involves having working lights. You need to be able to see at night, and you need other vehicles to be able to see you. Frequently do a visual check of your lights to make sure they have not fogged over or started to dim. Keeping the headlight covers polished will do wonders in improving visibility, but you can also consider upgrading to LED or halogen light bulbs. Tire pressure is another important component of keeping your vehicle safe and functional. Make sure that your tires are never over or under-inflated. Improper inflation of your tires can lead to unnecessary wear and tear, as well as impact your fuel efficiency. Most importantly, incorrect air pressure can leave your vehicle less safe when driving. Did you know that your windshield wipers aren’t designed to last forever? In fact, most should be replaced before or at 2 years of age. This ensures that whenever it rains, you can still see and drive safely. Inspect your wipers regularly for brittleness or dryness. If they are no longer flexible, it’s time to replace them. For any and all of your car maintenance needs, give our team a call at (630) 932-4427! Posted in Uncategorized on February 28, 2018 by J1 Auto Repair. Most people learn a thing or two about the basics of caring for tires when they begin driving. However, among the details of auto care that get forgotten most are those tires. People don’t check pressure as often as they should, or have the replaced early enough, and more. Don’t let good, basic tire maintenance pass you by anymore. Tire pressure is more important than you may realize. People are usually aware of when their tire pressure is too low because their car’s tire light on the dashboard turns on. When this happens, the tire pressure is so low that it usually means there is a leak. You should be concerned about your tire pressure more often, however, low tire pressure is the leading cause of excess wear on tires. Tire tread damage and blowouts are most often caused by tires that have been driven on low pressure. Most tires should be driven on a PSI from 30 to 35, but your manual will tell you more. Routine maintenance is also essential for good tires. Your tires need regular rotations on a schedule set by your manufacturer, or your mechanic. Rotating your tires helps the tread wear evenly so that you stay aligned on the road and don’t have to replace your tires sooner. Always let ask your mechanic to check your pressure, too, and your brakes. No tire lasts forever and driving on worn tires is dangerous. Know when it’s time to get new tires, and listen to your mechanic. Come us at J1 Auto Repair in Lombard, IL. Call us at (630) 932-4427 and we will help you with your tire maintenance. Posted in car maintenance, Uncategorized on January 17, 2018 by J1 Auto Repair. A good car is a tough machine; it’s take you anywhere for as long as you need it. However, in order for it to remain a good, tough machine, it needs good care. The cold weather of winter can put some strain on your care, so take time for winter auto care this year, and check on these things. Take Time for Winter Auto Care. Even great windshield wipers wear down. Hopefully, you have a pair that will last the year. If you’re driving with bad wipers, you will have a tough time when rain, snow, and sleet hit, and your visibility, and your safety, will be affected. So, inspect your wiper blades and have them replaced. Your tires are some of the most important things on your car; you need them to be at their best anytime you’re on the road. 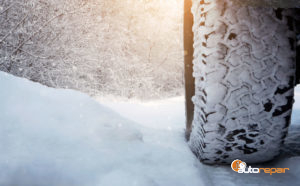 To handle winter driving conditions, they need good tread depth and the proper inflation. Anytime you’re going somewhere, check their pressure before you go out. Have a professional examine their tread depth. Only drive in winter with good, strong tires. You don’t want to get in your car on a cold day only to discover that the heater doesn’t work. Have your heating and cooling system inspected so that you stay comfortable while driving. Your car’s oil can thicken when the weather gets cold. This makes it hard for the oil to do its job and lubricate when the engine starts. Winter is a good time to use synthetic oil because it won’t change consistency when the temperatures change. Take time for winter auto care this season and bring your car to us at J1 Auto Repair for auto repair services in the Lombard area. Or, call us at (630) 932-4427. Posted in car maintenance and tagged auto care on December 15, 2017 by J1 Auto Repair. Is Your Car’s Battery Ready For Winter? With winter approaching, you may be in a hurry to get your vehicle prepared, and that’s a great idea! If you’ve been a car owner for a while, you may have also noticed that when your car battery dies, its seems to happen in winter. Many people believe that cold temperatures kill batteries, but actually, hot temperatures and time kill car batteries. However, cold temperatures make it more difficult for a weakened battery to start, which is why the damage usually becomes apparent in winter. Instead of waiting for the old to kill your battery completely, today we will share a few tips on how to recognize battery failure early on. If your car seems to be sluggish when you start it, or like it may not start, this can be due to a failing battery. Be sure to have it checked, and if needed, replaced ASAP. Rotten egg smells are often a sign of car trouble. One thing that this smell can indicate is a bad battery, so you should have your vehicle inspected ASAP. If you can’t remember when you bought your battery, or if you aren’t sure of how old it is, it’s probably about time to replace it, or to start saving for the replacement. If you left your headlights on overnight, it makes sense that you will need to jump-start your battery. Other than something like that, if you find yourself jumping the battery on a regular basis, you need to have it replaced, OR you need to have your alternator checked. If you need help with your battery, or any other car services, give us a call at (630) 932-4427! Posted in Uncategorized on November 14, 2017 by J1 Auto Repair. Do Your Part To Enjoy More Open Roads! One of the most puzzling and annoying things we experience as drivers is traffic jams. It’s hard to understand how one minute traffic is moving quickly and then then comes to a sudden halt seconds later. Today we will discuss the reasons why. In combination with heavily congested roads, delayed reactions mixed with tunnel vision will swiftly slow down traffic. 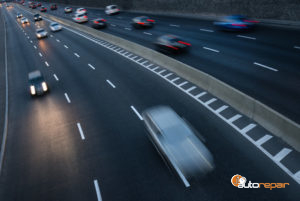 When a driver is travelling too slowly for the individual behind them, that individual might get frustrated and quickly switch lanes in order to pass. This causes the driver they cut in front of to abruptly slow down to avoid collision. Next, the person behind that person has to slow down and the cycle continues down the line. This domino effect causes one lane of traffic to slow down. Drivers who are stuck in this lane get frustrated and start darting into the fast moving lane. Soon, the faster moving lanes start slowing down due to people cutting in and out of lanes and eventually all lanes are slowed down. People who tailgate, and people who text while driving readily contribute to this problem. So for a better driving experience, leave safe following distances, and pay attention to the road. If everyone works to drive at a consistent pace, we can avoid unnecessary traffic jams. To learn more about safe driving, or to schedule a fast and affordable repair for your vehicle, contact us today or visit our shop! Posted in Uncategorized on October 11, 2017 by J1 Auto Repair. 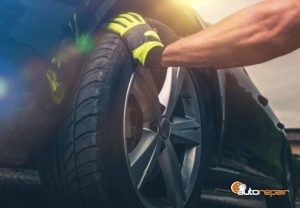 If your car was struck with a flat tire today, would you know how to fix it? While you can call AAA if you run into any trouble, a flat tire is actually pretty simple to replace, assuming you have a spare handy. Today, we will go over a few easy steps to changing your own flat tire. What you’ll need: To begin, you’ll want to make sure that you have these tools in your trunk at all times. A spare tire, a jack, a lug wrench, and a flashlight. There are additional helpful items, such as cones, flares, gloves, and wheel wedges, but you can work without those if needed. If you’re driving and you’ve realized your tire has gone flat, turn on your hazards and make your way to the side of the road. If you can safely exit a busy road, do so, but if not, get as far onto the shoulder as you possibly can. This way you can keep yourself, and other drivers safe. Raise The Vehicle: Now, use your owner’s manual to determine the proper placement for your jack. Then, use the jack to raise your vehicle about 6 inches off of the ground. Remove The Tire: Now you can finish removing the lug nuts, and pull the tire off of the vehicle. Be careful not to lose any of your lug nuts! The simplest way to remove the tire is to pull it toward you. Install The Spare Tire: Next, push the spare tire in place, and put the lug nuts back on just enough to keep the tire in place. Lower The Vehicle: Now you may lower your vehicle back to the ground, and put your jack back in the trunk. Secure The Lug Nuts: Now you may tighten the lug nuts as needed, return your tools to your trunk, and head over to the tire shop! For all of your car repair needs, you can count on the experts at J1 Auto Repair. Give us a call today at (630) 932-4427 to get started! Posted in Uncategorized on September 11, 2017 by J1 Auto Repair. We all know to regularly check our oil, but how often do you check the rest of your fluids? Your vehicle relies on multiple fluids for correct operation including coolant, power steering fluid, and transmission fluid. Like your oil, these fluids need to be check and changed according to the schedule in your maintenance guide located in the owner’s manual. Your tires affect almost every aspect of how your vehicle drives. They can influence your car’s balance, gas mileage, traction, and stopping power. To ensure your tires are safe, check for visible cables that show extreme wear on your tire. Also, check the tread of each tire by inserting a penny between the tread lines. If Lincoln’s head disappears, your tire tread is too worn and may not perform correctly. Inspect your tires for bulges on either side. Bulges in your tire are very worn and stretched areas that can easily cause a blowout while traveling down the road and should be taken care of immediately. Your vehicle will experience some wear as it ages which is why it’s important to regularly check your hoses, seals, and belts to make sure they are not cracked or dry. 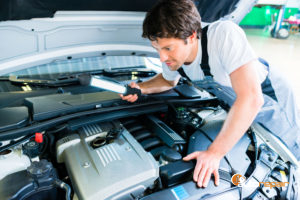 A torn belt or disconnected hose can cause huge problems with the functionality of your vehicle but can be replaced easily and with no other work needed if caught in time. Most people tend to disregard their vehicle’s filters until there is a problem. However, regularly replacing your oil, fuel, and air filter can improve the gas mileage and general life of your car by improving its “breathing system”. When your car has a healthy flow of air and fluids, it can utilize its many systems to continue to run properly for years. No matter how old your vehicle is, taking these four steps can drastically improve its lifespan, performance, and can even help to prevent some accidents. For maintenance and repair services you can trust, call the professionals at J1 Auto Repair (630) 932-4427 and improve your vehicle’s quality of life. Posted in Uncategorized on August 8, 2017 by J1 Auto Repair.